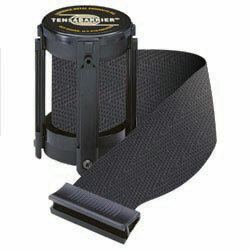 This 4-way tensabarrier replacement belt is a 13-foot dark gray 2" woven polyester web accessory. 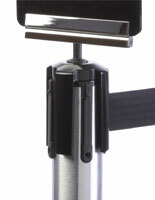 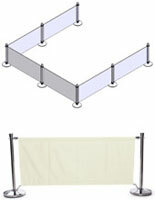 Designed for use only on Tensabarrier-brand stanchion posts with four-way tops. 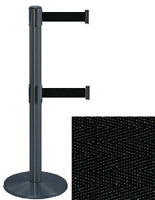 The replacement belt, 13-foot dark gray retractable barrier offers businesses an economical way to fix or update damaged or older poles. 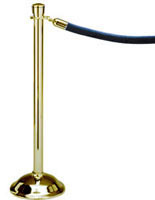 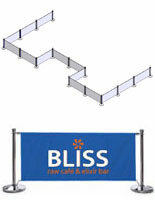 Each easy to install cartridge creates a heavy duty woven polyester barrier suitable for crowd control or queue management. 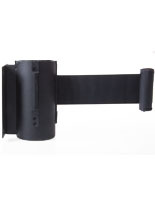 The 2" replacement 13-foot dark gray retractable belt is available in a variety of colors and lengths to match decor or function as needed.